Happy Healthy Vegan Friday! My co-host Kimmy and I have been having soooo much fun this week! We hope you are too! If you’re new to Healthy Vegan Fridays, read all about it here. Here are the winning recipes that everyone voted for last week! This is brilliant! I love sneaking veggies into things! I’ll be honest. I was slightly (tremendously) disappointed to find out that these were not in fact bowls of food that looked like bunnies. This week, in lieu of submitting a recipe, I will share a summary of my week. 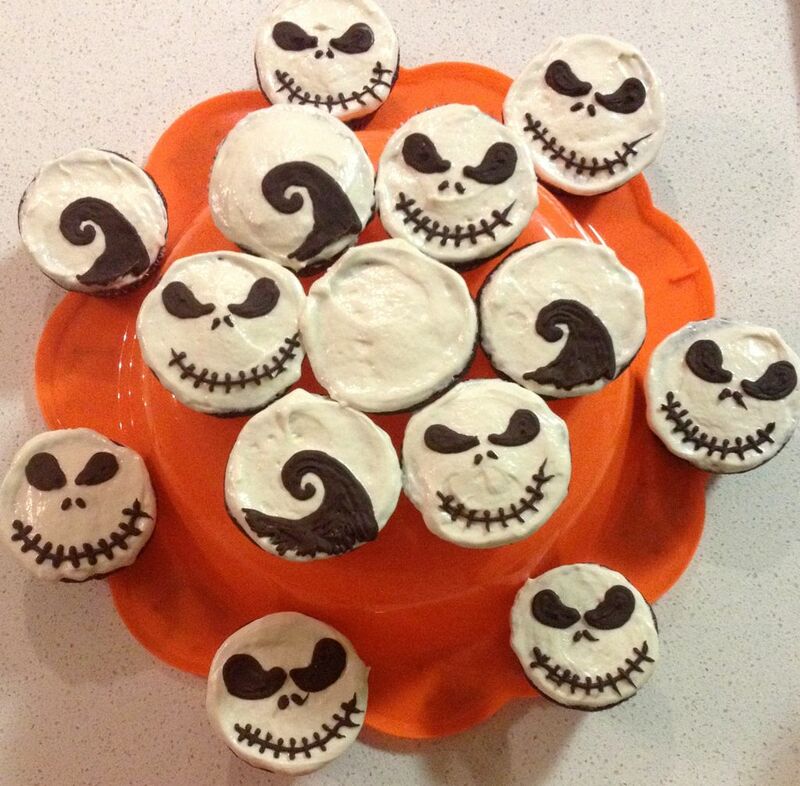 On Monday night, we had a Nightmare before Christmas themed potluck, where I made vegan, gluten-free red velvet cupcakes. I didn’t think they were very good, so I won’t be sharing this recipe on my blog, but everyone else seemed to like them, so that’s what matters. 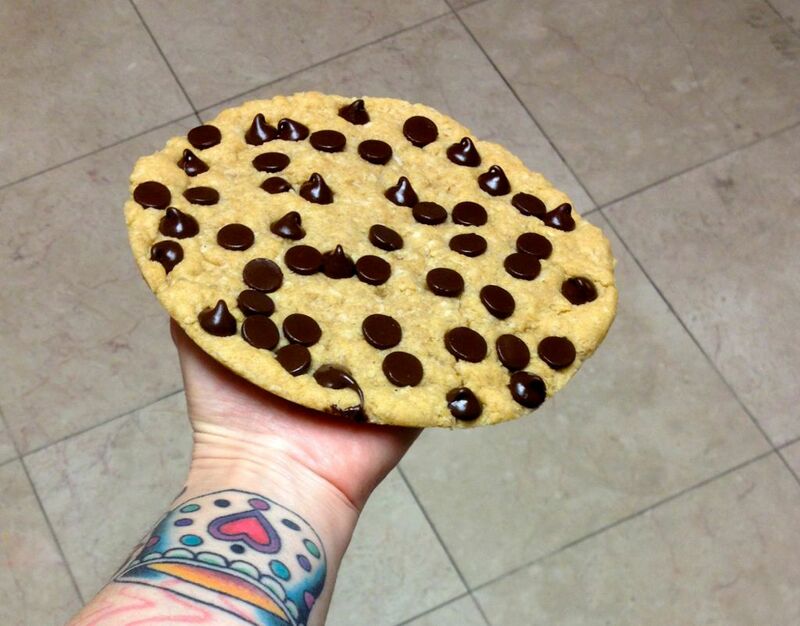 On Tuesday night, I baked the biggest chocolate chip cookie I have ever baked in my life. David was scared of it and backed away from it when I offered him a bite. 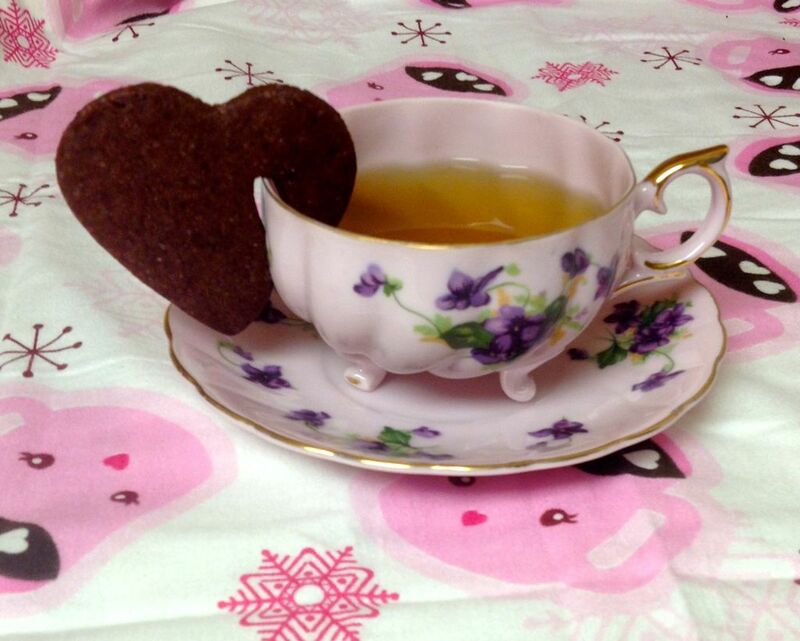 On Wednesday night, I baked red velvet cookies that hang off the edge of your teacup. I’ll be using these to make cookie sandwiches for the vegan cookie exchange this Saturday. 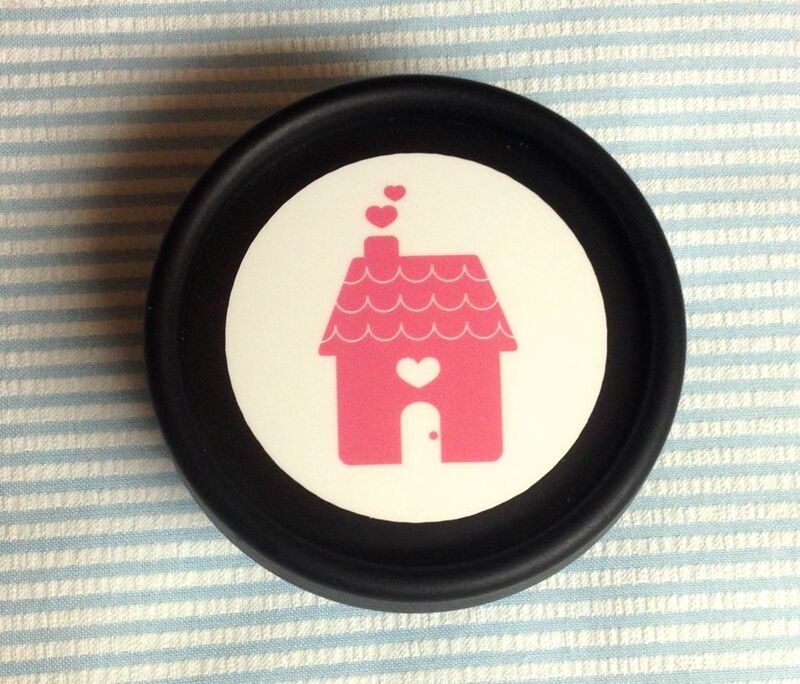 Then, I made homemade deodorant for the first time. And I used it today and it actually works! So exciting! I hope some of this week’s healthy vegan recipes will be holiday themed! I don’t celebrate Christmas, but I do celebrate solstice, and I plan to make some yummy nog, pumpkin pie, and whipped cream to bring over to my dad’s house. Use the link below to submit your holiday-themed vegan blog post to Healthy Vegan Fridays! If you have a twitter or instagram account, post a picture of your yummy healthy vegan friday food and tag it with the hashtag #veganfridays.